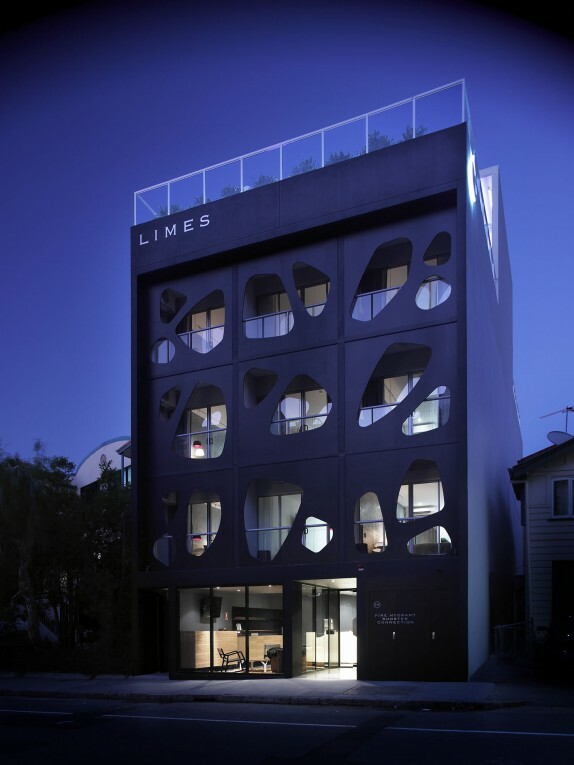 The design approach focused on the Hotel in its absolute entirety – considering the intended look and feel, and paying heavy attention to the interiors, furniture, surfaces and finishes, as well as extending the design influence to Limes’ music and drinks list. 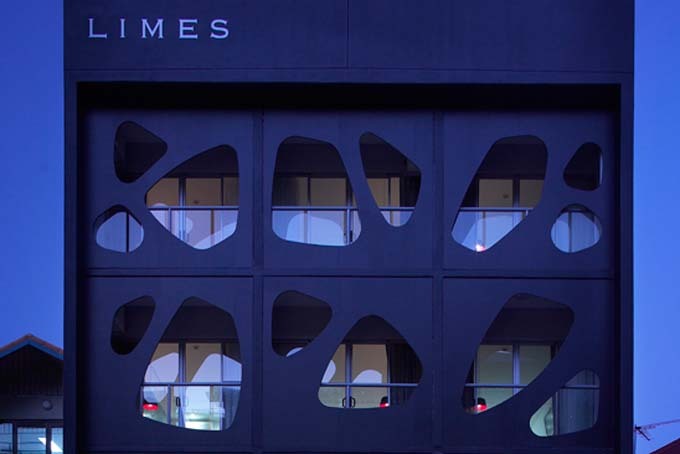 The Limes “facade” has been tangibly branded with the Limes logo on a gross scale, also represented on details throughout the Hotel lobby, rooms and rooftopbar and cinema. 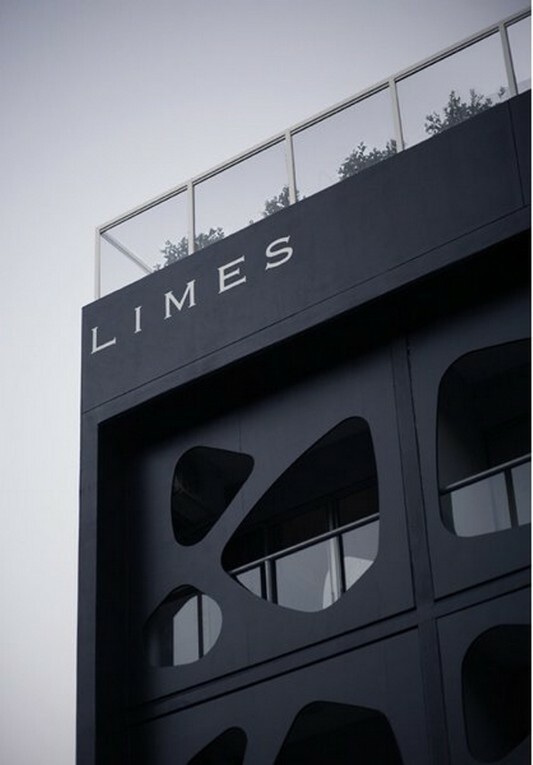 By leaving no facet of the hotel to chance, one feels what the designer can only describe as the “spirit” of Limes when in its presence. A strong feeling within the doors of Limes and a residual impact realised on returning home. 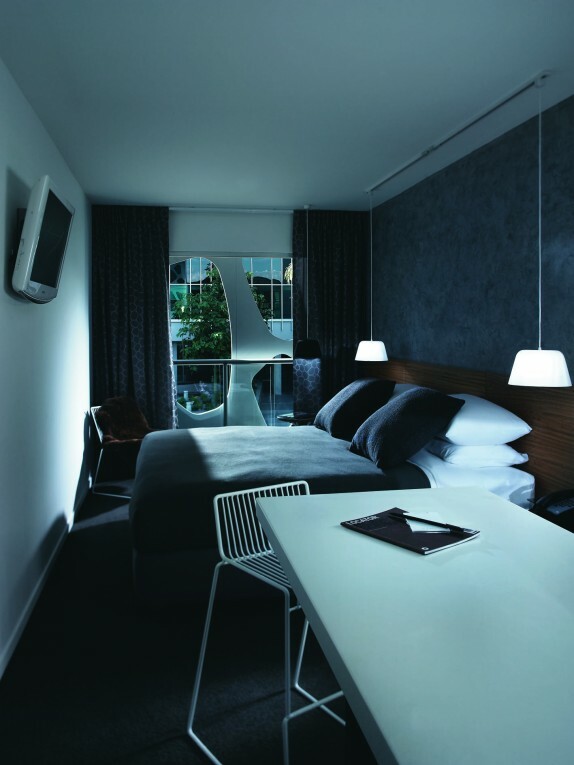 The bedroom design process was focused on the efficient use of space, and prioritising use and features. This train of thought led Alexander to the desired end result of the room being visually spacious yet cosy. The orthodox hotel room desk was avoided and updated as all travellers now use laptops and Alexander (among many) use the bed to work and check emails – Limes is completely wireless internet enabled. Not forgetting of course, that people do still use internet the traditional way, the kitchenette bench to caters for use as both a casual setting to eat and as the work station equipped with Ethernet points. And something as simple as mirroring the wardrobe door for versatile use as a wardrobe door and a place to review one’s reflection. 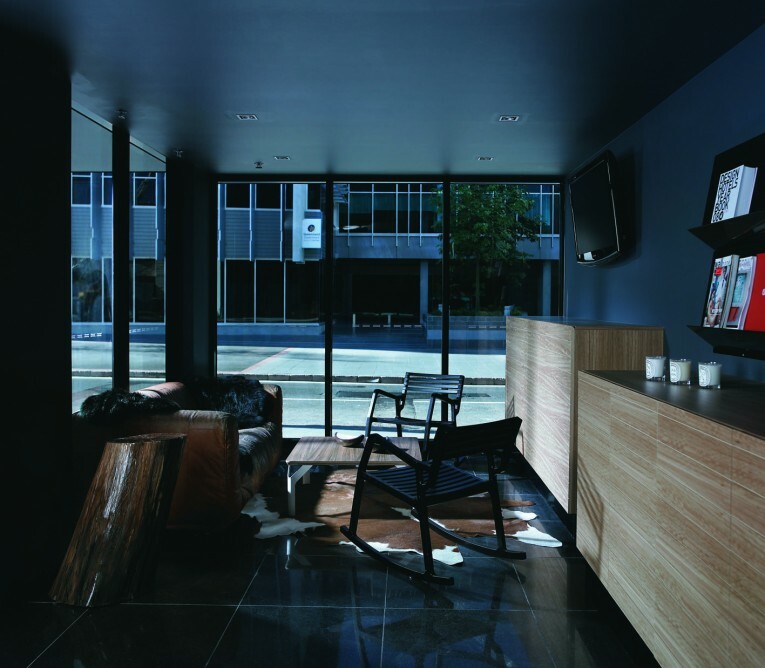 Where design permitted, mundane items such as rubbish bins and cables were minimised or completely hidden. This not only made the room look cleaner and visually clearer, but also from a practical aspect, made the servicing of the room more efficient. 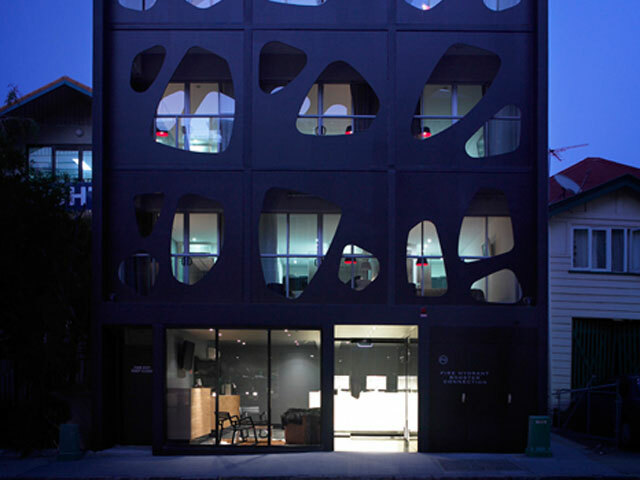 The first Australian member of Design Hotels, the Limes Hotel, is located in the hub of Brisbane’s nightlife, also known for its trendy cafes, shops, bars and restaurants – Fortitude Valley, more commonly referred to as “the Valley” by the city’s locals. 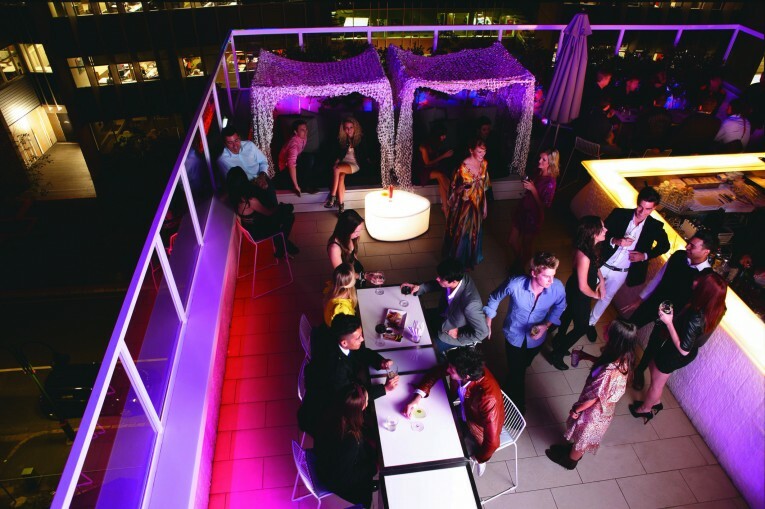 A stunning yet simple urban retreat, Limes is complete with open-air roof top bar and intimate roof top cinema.